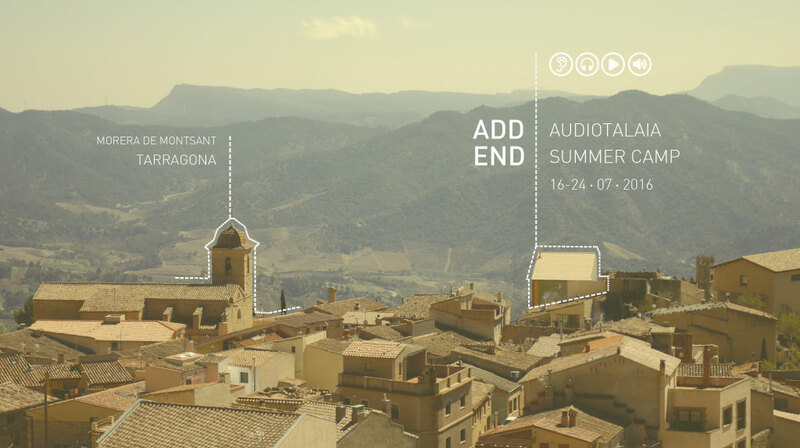 This is the release page of the outcome of the 10 days workshop "Audiotalaia Summer Camp" held at Addend (Morera del Montsant, Catalunya) between the 16th and the 24th of July. 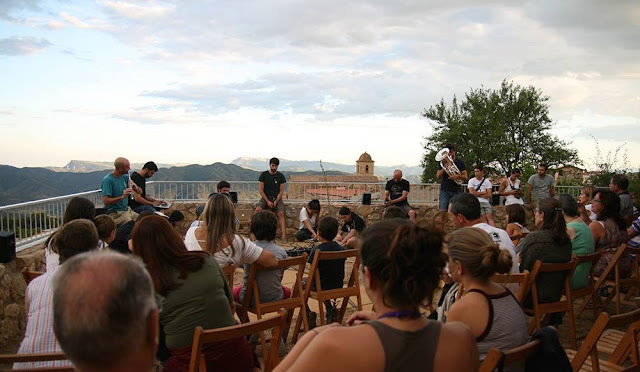 The outcome consists on seven live recordings of various performances, the video documentation of four of them and the documentation of three sound installations and one sound performance produced by the participants of the Summer Camp inspired by the soundscape of La Morera del Montsant and its landscapes. 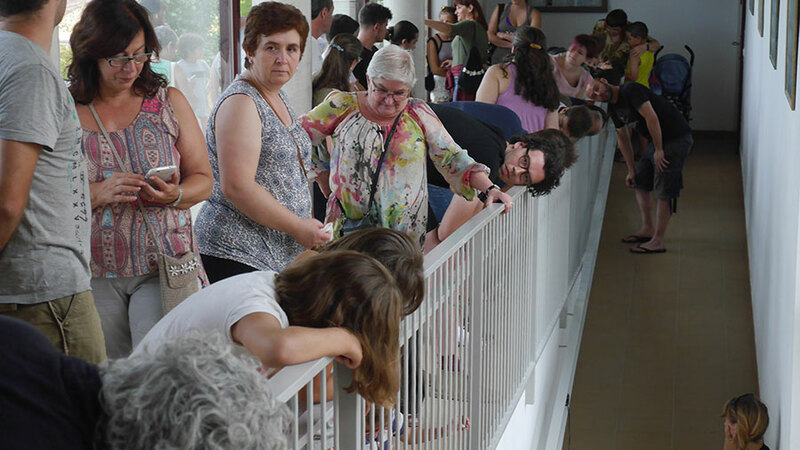 All of the pieces are the result of exercises proposed by Edu Comelles during the workshop. Each section of this release illustrates some of the activities held during the stage. 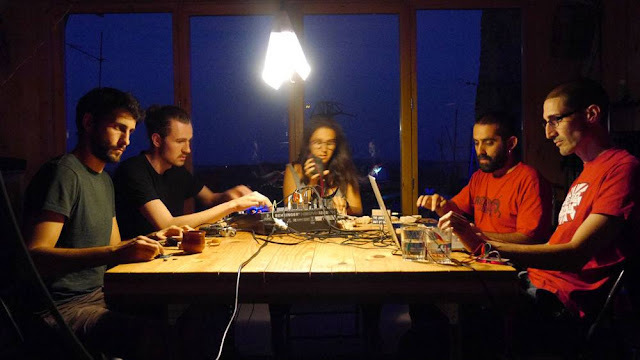 The following recordings are the outcome of three live and site-specific sound performances using only found objects and non-electric or electronic instruments. The participants, in groups, got 1 hour to prepare their performances based on the surroundings and features of an abandoned monastery. Each performance focused on a concrete aspect of the location, theme or materials. Each of the participants starts recording, with their personal devices, at a given moment. From that moment on, each of the participants have to remain silent while recording. The only sounds produced have to come from found objects and the environment and its soundscape. Nothing more. After 35 minutes all participants meet again and silently stop their activity until total "human" silence. The outcome is the combination and over-layering of various sound files extracted from that session. Perfomed by: Martin Disley, David Ortiz, Vicent Adsuara, Gabriell HB and Txo!? A performance on a very quiet room with dust, gravel, stones and wood. A soundscape made out of a variety of sound sources that, all together combined compose a soundscape for this quiet and small room. Performed by: Liam Dempsey, Yasmina Qiu, Julia Vorkefeld, Pablo Zaratiegui and Ayoze Garcia. A performance calling out the past of the Monastery. This was the only Nunnery of El Priorat, a territory dominated by Cister Monks. 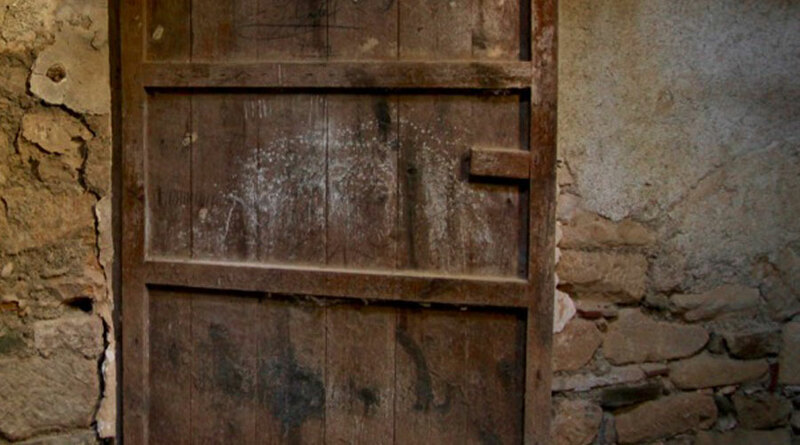 Political pressure pushed the Nuns away to the Monastery leaving the building to abandonment and oblivion. The piece seeks a music to remember the inhabitants of the place. Performed by: Vicent Gomez, Miranda de la Frontera, Mintxo Garcia, Juan Luis Montoro and Calum Rennie. A piece made at the nearby pond used by the Nunnery to irrigate fields and providing water to the facility. The performance mixes different sound sources combining water with wood, metal, iron, plastic and various found elements on the surroundings. After the first performances at the Mas de Sant Blai. The participants where asked to re-interpret the sound performances. This time they were allowed to use any kind of instrument, electronics, speakers or microphones. 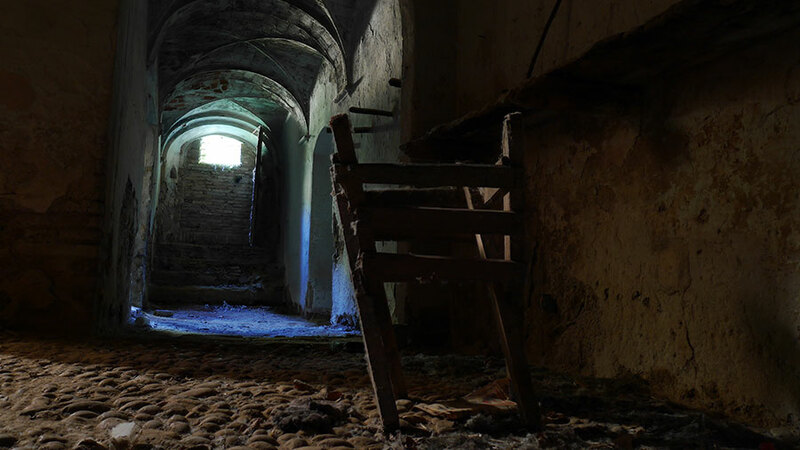 The idea was to envision the performances at the abandoned monastery and re-interpret them at the Addend Facilities in three different locations. Each group could re-interpret their own performance, get inspiration from the others or to interpret some other group's performance. This time, they got 8 hours to prepare the performances. Electronics, microphones, analogue synths, tape loops, voice and digital synthesis. Live electronics, cajón, gravel and live visuals. Flute, didgeridoo, live electronics, gravel and objects. Seu del Parc / Final Presentations. Final presentations are the last and only open to the public activity of the workshop. Three different groups where asked to develop a site-specific sound work, a sound and interactive installation and a live concert. The three projects were developed at the Information and Exhibition Center of El Parc Natural del Montsant. Each group used respectively, the access ramp to the exhibition space, the exhibition space and the outdoor terrace. Site-Specific Sound Intervention. Access Ramp. Work by: Miranda de la Frontera, Calum Rennie, Ayoze Garcia, Mintxo Garcia and Pablo Zaratiegui. A work featuring a fictional character in the shape of a railing. The railing is complaining and moaning because anybody pays attention to it. It just sits there assisting people on their way up to the ramp into the exhibition space. The voice of the railing can be heard through contact speakers. Listeners have to be close by the railing to hear the complaint monologue of the railing itself. Audiovisual interactive installation. Exhibition space. Work by: Martin Disley, Liam Dempsey, Vicent Adsuara, Juan Luis Montoro and Yasmina Qiu. Three stages of a circuit in which different elements found on the Priorat Landscape interact with the visitor. 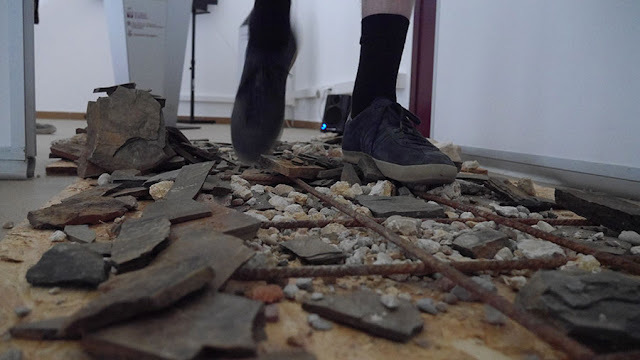 A first stage in which rocks on the floor and the act of walking by triggers a generative sound composition made out of stones and gravel from the nearby hills. Liam Dempsey and Martin Disley interactive floor. A second room features the possibility of listening through wine, the sound of various local materiales tided to tradition and wine trade. 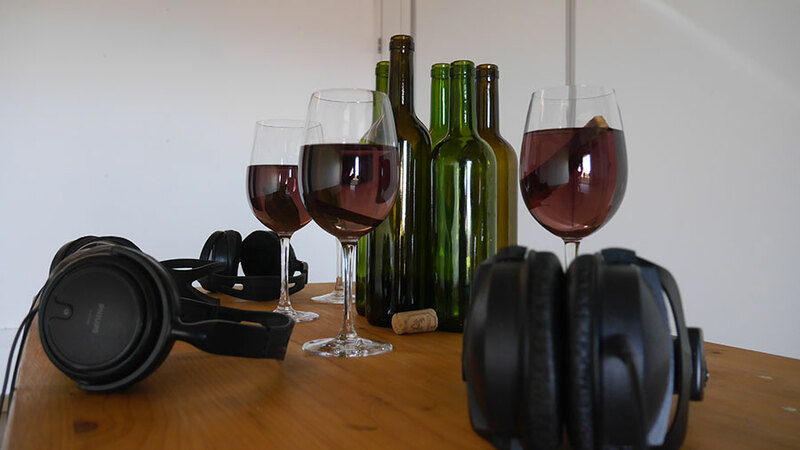 A headphones experience exploring perception of sound inside a liquid material such as wine. The headphones set up by Vicent Adsuara. At the third room we can find an Old Pianola rescued from a nearby cottage. 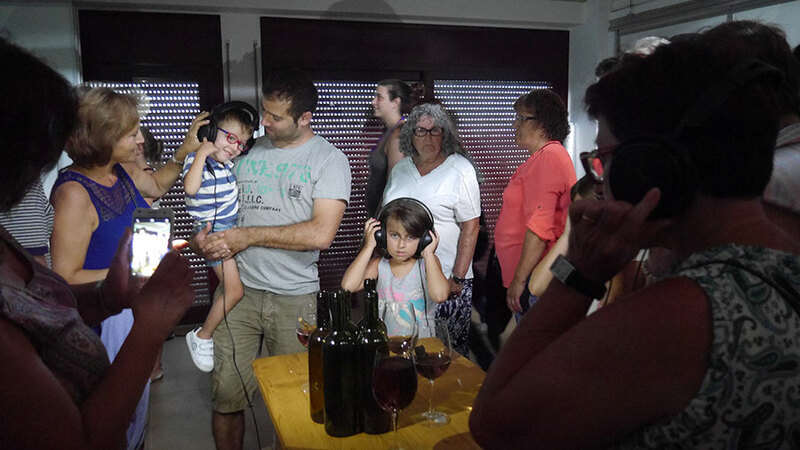 As we get closer to it we can hear the sound of it, and as we move away from it we can hear the sound of an audiovisual featuring the sound of Txalaparta and its linkage to materials. 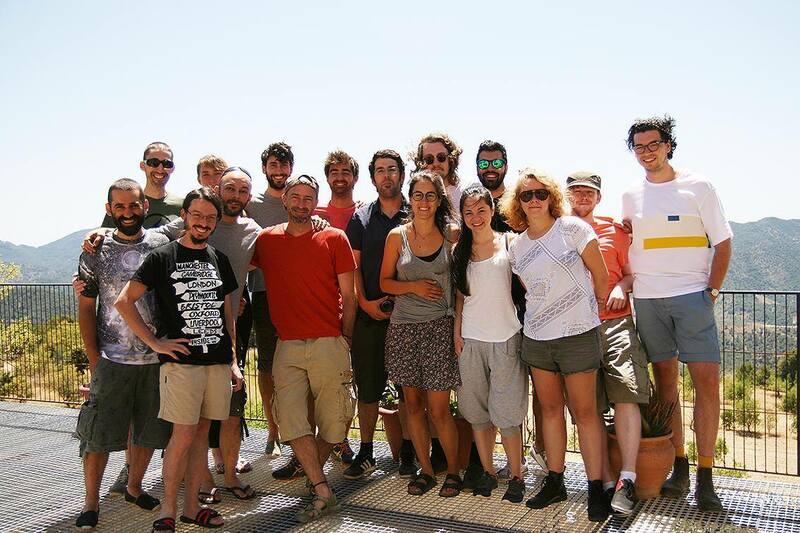 Work by: Mintxo Garcia, Yasmina Qiu, Juan Luis Montoro, Julia Vorkefeld, Gabrielle HB, David Ortiz, Pablo Zaratiegui, Txo! ?, Vicent Gomez, Ayoze Garcia and Edu Comelles. 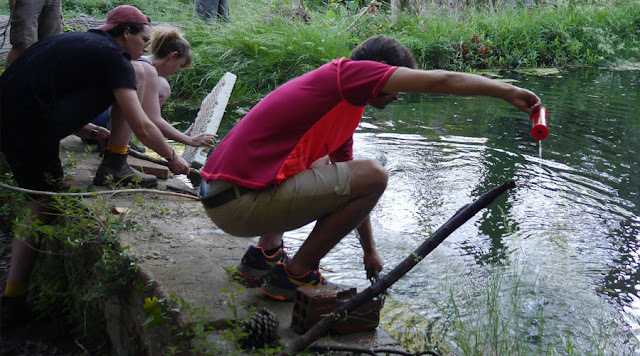 A live improvised concert featuring sounds inspired by the landscape and soundscape of the area. The piece, was performed using flute, electronics, field recordings, voice, poetry, tuba, amplified objects and a cajón. Electronics and field recordings were played through and 8-loudspeaker array set up for the occasion. From left to right, up and down: Vicent Adsuara, Miranda de la Frontera, David Ortiz, Vicent Muñoz, Edu Comelles, Martin Disley, Juan Luis Montoro, Liam Dempsey, Calum Rennie, Txo, Ayoze Garcia, Pablo Zaratiegui, Mintxo Garcia, Gabrielle HB, Yasmina Qiu and Julia Vorkefeld.